Samsung has all but confirmed that the Galaxy Note 8 will have a dual-camera setup when the phone launches in New York in five days’ time. 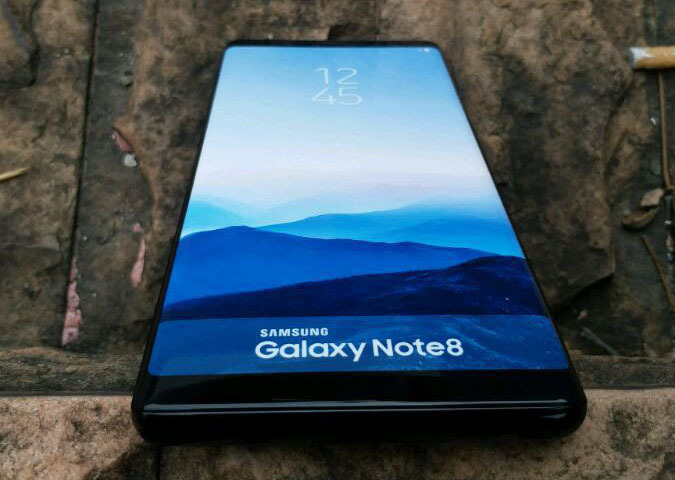 If genuine, it confirms that the Note 8 will feature a 6.3-inch QHD+ Infinity Display with S Pen support, as well as supporting wireless charging. The dual camera will have f/1.7 lenses and 2X optical zoom and image stabilisation capabilities, as well as iris scanning security protection. It lists the handset as having IP68 certification, which means it will be dust and water resistant. There’s no visible S Pen, though leaked renders and photos have shown the stylus will come with the phone in a matching color. Previous specs we expect to see from the device include a 6.3-inch Super AMOLED display with 18.5:9 aspect ratio, dual rear-facing cameras with 12-megapixel sensors, and 6GB of RAM with 64GB of storage, plus expandable storage. Previous rumours have suggested a third deep blue colour would be available exclusively to Note 8 buyers, which is not an option for the Samsung S8.